The power of strong links; the purpose of companies in the age of A.I. ; more trust needed; autonomous submarines may rule the waves; the top 3 priorities of CMOs; influencers – regulating them, relating to them; the price of character; Walmart's grocery business is a juggernaut; the shift between Instagram Stories and Facebook Stories; TripAdvisor is struggling with many of the same issues as other Big Tech; much ado about Netflix; get ready for MoviePassing; Spotify's growth continues; a teenager hacked Apple's network; using data to improve customer experience; how Sharknado surpassed all expectations; plus the podcast pick of the week and more in the This Time, It's Personal edition of The Full Monty for the week of August 20, 2018. I wanted to let you in on a secret: I'm spending more time creating regular content on my main site. Well, it's not a secret per se, but I haven't talked about the purpose or the cadence. 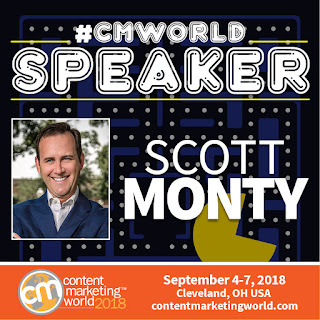 Each Tuesday and Thursday, you can expect something from me on ScottMonty.com – Monday is a short post, designed to jump start your week and get you thinking. Thursday is a slightly longer piece on the same topic. I'd appreciate any comments or feedback on those, and I'd love to have you on my mailing list there. The top story this week isn't really a single linked article. But it is about the power of strong links. For years, we've seen influencers, individuals and brands chase more followers. It became a numbers game – so much so that some people even gamed the system and used bots to seek out an follow more people. When Twitter purged its system last month, suddenly follower/following ratios got skewed because of practices like that. I've always thought that getting the attention and trust of 10 percent of an audience of 10,000 isn't nearly as impressive as getting the attention and trust of 100 percent of an audience of 1,000. And increasingly, I've been seeing discussions about people focusing on quality over quantity. Of moving past the "platform" mentality that focuses on reach, and rather putting efforts into the "community" mentality that focuses on engagement and strong connections. Because ultimately, those are the connections that are going to make a difference. This week, I'd like to call out the strong connections in my own network that brought some of the links below to my attention – namely: Christopher Penn of BrainTrust Insights; Tom Webster of Edison Research; Mitch Joel of Six Pixels; Chris Brogan of Owner Media Group; Steve Garfield of SteveGarfield.com; Richard Binhammer of Binhammer Photographs; Jay Baer of Convince and Convert; Bob Knorpp of The Beancast; and Jessica Smith of Social 'n Sport. And thank YOU for being part of this community! Nearly nine in 10 consumers who have made a purchase via smart speaker say they have opted for a product recommended by their virtual assistant, rather than stick with their preferred brand. (eMarketer) "Alexa, let me make my own decisions." The World Economic Forum produced a report that concludes that A.I. will disrupt the financial industry by giving early adopters of the technology an advantage over competitors. Get ready for autonomous submarines as China looks to dominate the sea. (South China Morning Post). You know what's next, right? A smart and thoughtful piece on Social Musings about what's missing in digital and social that every executive should read. (Social 'n Sport - Jessica Smith) Help is here for executives who need to get a better grasp on digital/social. ICYMI, Episode 40 of The Full Monty was about the price of integrity. Walmart reported impressive second-quarter results, showing a rise of 4.5 percent in the U.S. YoY. Traffic in its U.S. business was up 2.2 percent, meaning Walmart is doing a better job of luring shoppers to its brick-and-mortar stores. And its e-commerce business delivered a 40 percent gain in sales. (Investors Business Daily) Make no mistake: brick-and-mortar still matters. And the way Walmart – or any retailer – makes the digital-analog connection work for customers, means the difference between success and irrelevancy. Supermarket giant Kroger and autonomous vehicle startup Nuro are teaming up to test driverless grocery delivery in Arizona. (The Verge) As always, the last mile is the longest. 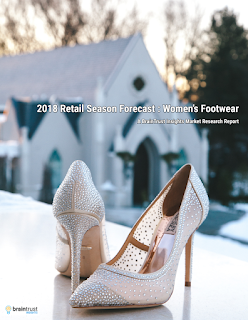 If you're in the retail sector, download a copy of the 2018 Retail Forecast: Women's Footwear . It's got the most popular, searched-for brands, types of footwear, and retailers for the 2018 Retail Holiday Season. It will help you determine the optimal weeks to begin your most aggressive marketing and advertising to maximize your ROI and sales impact. If you aren't getting value from this newsletter, please unsubscribe. Alternatively, if you find it worthwhile, please send some friends and colleauges to this page. Twitter cited “technical and business constraints” as it ends support for third-party apps like Tweetbot and Twitterific. (Techcrunch) Twitter was once hailed for its flexible and open API that allowed developers to be more creative and prolific than Twitter ever could. But there was a price to that. Twitter is partnering with Adidas to stream high school football games. (The Verge) Friday night bytes. I'm looking to increase my speaking engagements – including executive briefings/workshops and keynotes. I'd be glad to speak to your organization or at your event. Feel free to contact me to discuss it. Turns out the fears were (mostly) unfounded: Netflix clarified that these are not commercials, but promotions for other Netflix shows. Crisis avoided. Probably not the best time to be applying to be their CMO. (PRWeek) Although if they throw in unlimited movies six movies a month, I might consider it. Amazon is in talks to acquire Landmark Cinemas, an indie 50-theater chain. (Quartz) Maybe they'll buy MoviePass while they're at it. Program of the Week: Our pick this week is Business Wars Daily. If you've heard the excellent episodic series by Wondery (first mentioned here in February), you'll enjoy this very brief daily update on business rivals and their progress. Do you have a program to recommend? Add yours to our Google Sheet: smonty.co/yourpodcasts. The U.S. is starting to talk about data privacy legislation. 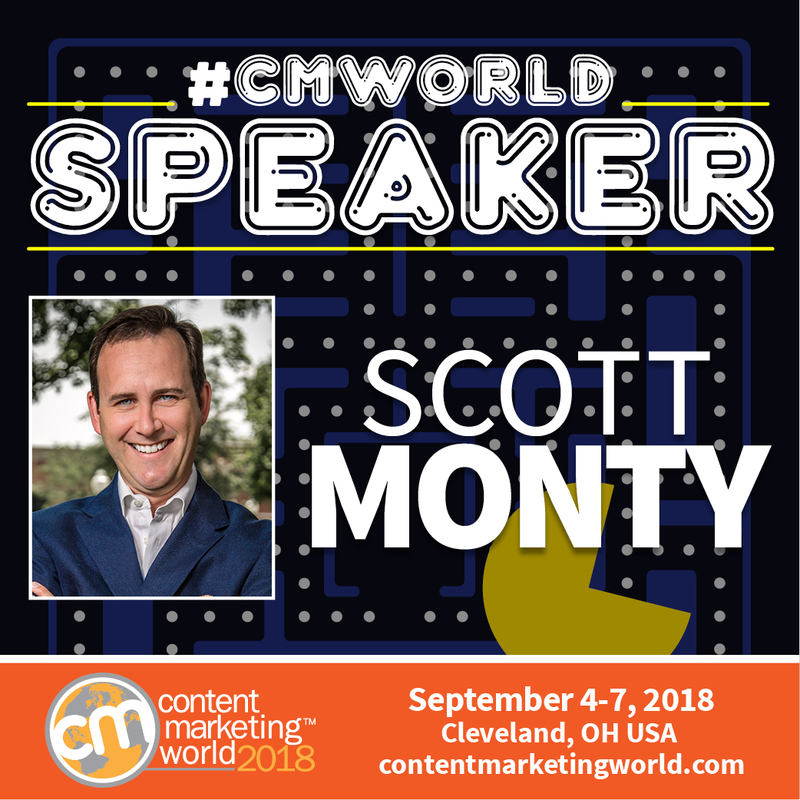 (Martech Today) Whew! Privacy, regulation - our subsections are colliding! Upset over California cities deciding to prioritize Lyft and Uber for a pilot program, Lime and Bird have halted their scooter services. (CNET) I just returned from Mission Beach in San Diego. I'll have some thoughts on the scooter business soon. Make sure you're subscribed to get updates. Automakers are figuring out how to monetize your data. The data provide feedback to improve the car's performance, but some OEMs are thinking about in-car advertising: What Your Car Knows About You. (WSJ) Let's just hope that it's relevant and personal. Customer data platforms (CDPs) are the hot thing in marketing tech right now, but many of their functions are not that novel. (eMarketer) As with anything, it helps to understand history and human nature before jumping off of the shiny object bridge. A truly fascinating interview with Penn Jillette. (Vulture) Read the whole thing. Speaking of reading the whole thing, Ryan Holiday created The Ultimate List of Books to Base Your Life On. (Medium) All I can say is, "Wow." And I'm gonna need a bigger bookshelf. Here's another article (with some new twists) about what these screens are doing to our mind, focus, attention and evolution in relation to books and learning. (Slate) Count me as a fan of deep reading. 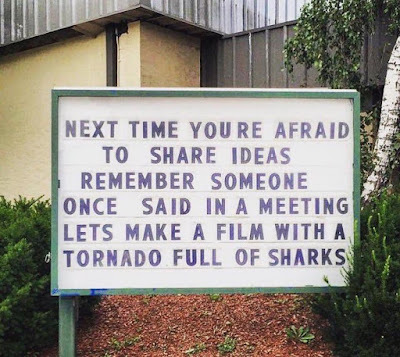 For the truly mature among us: this weekend marked the end of the Sharknado series, with the self-aware and ever-campy Sharknado 6: It's About Time. 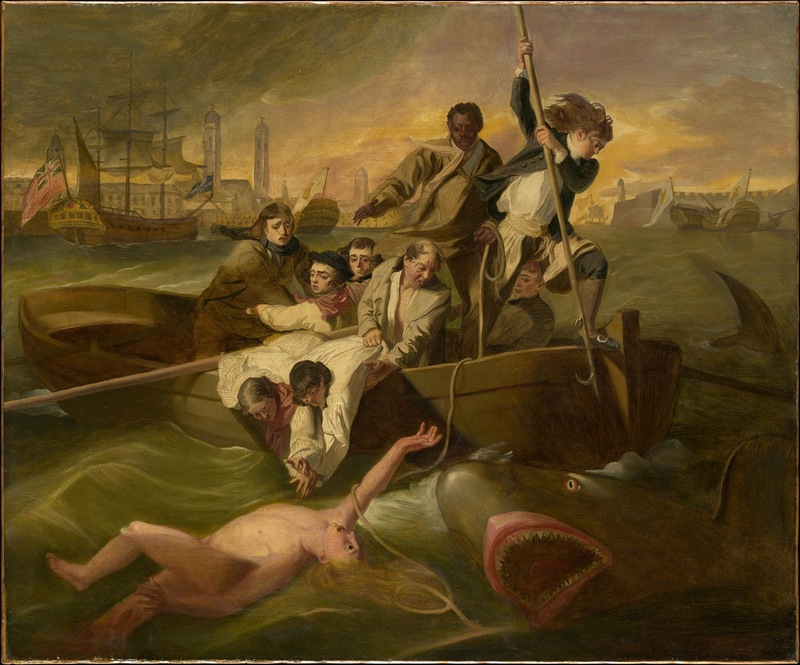 (Twitter Moments) For all of its schlock and horribleness, the series was a cult favorite and reminds us of the power of risk-taking in thinking differently. Do you like what you see here? Please subscribe to have trends on digital communications, marketing, technology and business delivered to your inbox each week. 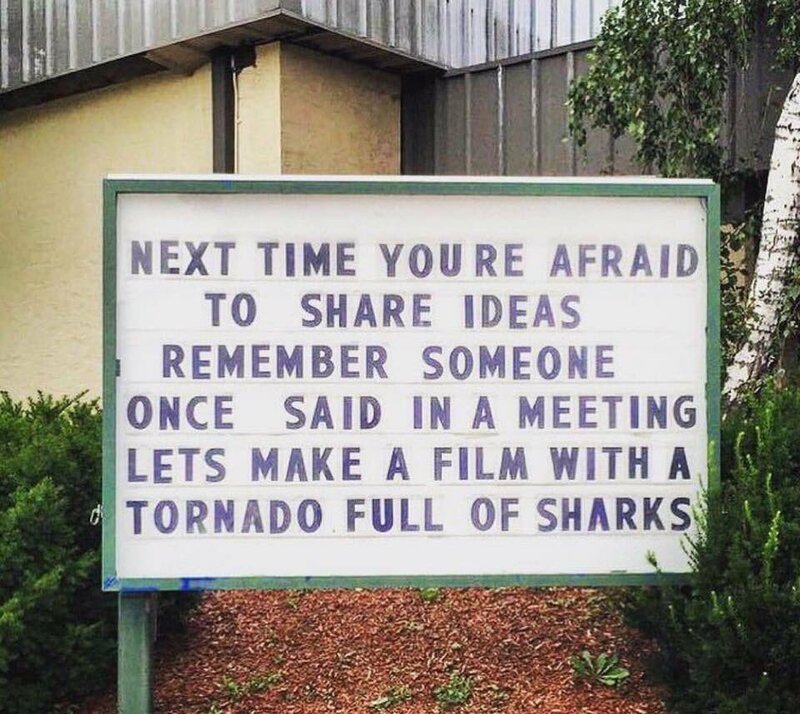 And share it with your friends and colleagues! Please consider supporting the considerable effort made for you here each week. It's just me on this thing.